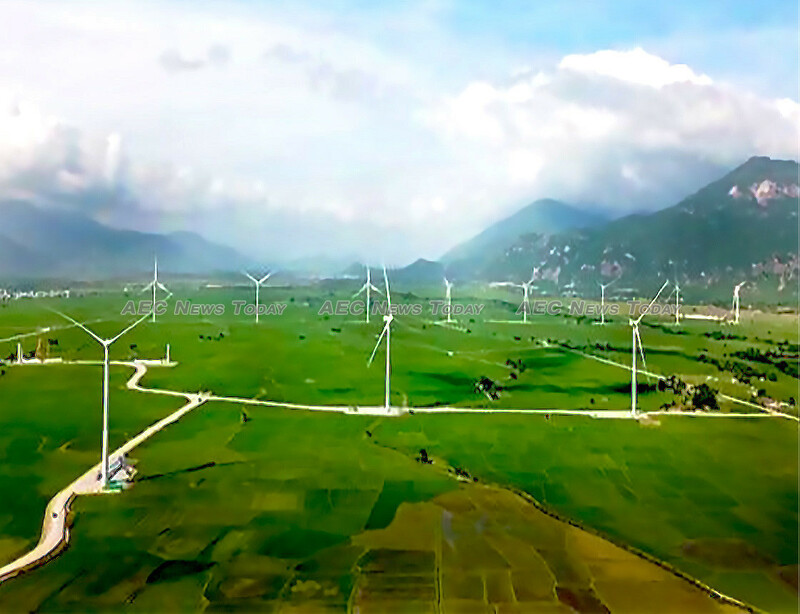 Construction of Vietnam’s largest largest onshore wind plant has been completed ahead of the region’s monsoon season, expected to start later this month. The Dam Nai Project wind plant is located amongst rice fields in a mountainous corridor in Ninh Thuan Province, South Vietnam, open to northeast monsoonal winds. Project builders The Blue Circle, a wind energy developer based in Singapore, chose the site after intensive meteorological mast trials. However the upcoming high winds could have stalled the project, with The Blue Circle Chairman and Chief Executive Olivier Duguet saying construction was carried out under pressure of the arrival of the monsoon. “High winds would have prevented the erection of the largest rotors in Vietnam”, Mr Duguet said. “Our teams, together with Siemens-Gamesa and partners, have done a fantastic job to achieve the construction of what is now Vietnam’s largest onshore wind power project”. The 12 new turbines are planned to go into commission this month before starting commercial operation in December. The turbines add to the original three G114-2.625MW turbines supplied by Siemens-Gamesa, which were commenced operating at the project’s first phase in October 2017. With its current installed capacity of 40MW, The Blue Circle said the Dam Nai site have a potential capacity of 80 to 120MW, and the company plans to further develop in the area. Vietnam’s decision to increase the tariff on both onshore and offshore wind projects came into effect on November 1, 2018. The new tariff aims to drive the implementation of wind energy by making it more commercially viable for developers, allowing them to secure financing. Lending entities and investors were not keen on funding wind power projects under the previously lower tariffs. Decision No. 39, issued on September 10, raises the previous Feed-in-tariff (Fit) of $0.078 per kWh to $0.085 per kWh for onshore wind projects and to $0.098 per kWh for offshore wind projects. 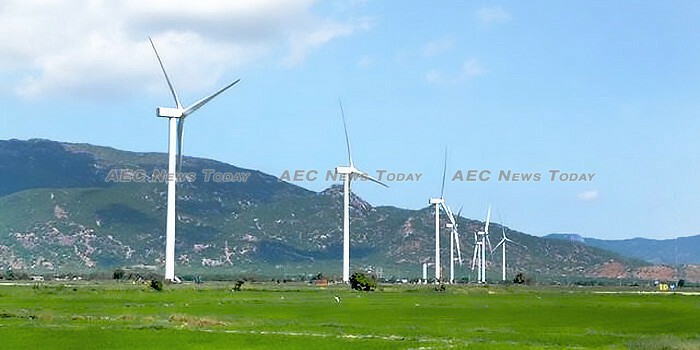 As of September 2018, only 200 MW of wind power had been installed in Vietnam, with close to 100 MW under construction. Vietnam expects electricity consumption to grow by 10-12 percent annually through 2020. According to Electricity of Vietnam (EVN), the electricity sector needs to ensure 265-278 billion kWh by 2020 and around 572-632 billion kWh by 2030 to meet the increase in electricity demand from now to the next ten years. EVN has completed 40 power plants with total capacity of 20,586MW to meet electricity demand for socio-economic development up to this year. Even still, during the Vietnam Energy Forum on August 9, the Ministry of Industry and Trade (MoIT) said Vietnam will be at risk of an electricity shortage in the decade between 2020-2030.